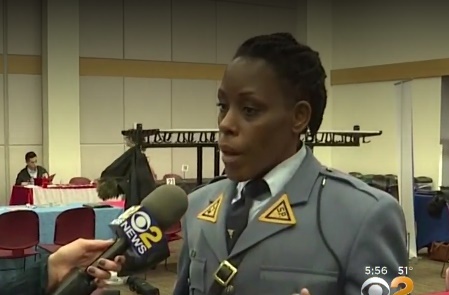 New Jersey State Police Sgt. Stacey Lloyd beat the odds of a tough life, and now she’s helping others in need. Her patrol vehicle was parked on Newark’s Martin Luther King Boulevard on Wednesday, where she grew up bouncing from apartment to apartment in a domestic violence household on welfare. Her mother worked hard to support Lloyd and her two sisters but fell into an abusive relationship and turned to alcohol. She now recruits people to join the force. Her peers say her ability to tell her story shows people who think they can’t accomplish their dreams that they can.